Cars are so important. They get us to work, get the kids to school, and let’s not forget all those extra-curricular and leisure activities. It’s essential that you keep your vehicle in good condition. This means checking your fluid levels, air pressure and getting it serviced on a regular basis. One aspect of car maintenance that is often overlooked is care of your car’s windows. Let’s take a look at 5 ways that you can keep your car’s windows in excellent condition. Quality of vision is so important when driving, so you need to be keeping your car’s windscreen clean at all times. This means both inside and out! 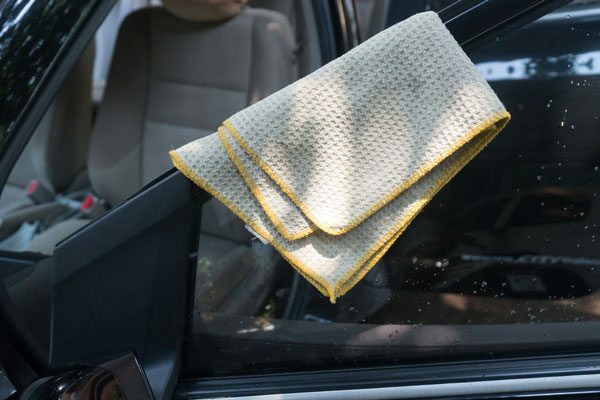 The best way to clean the inside of your car’s windows is to use a baby wipe. This ensures a streak free, spotless clean. Avoid paper towel as it can leave streaks and bits of paper on your windows. For the outside, a light microfiber cloth is one option. Another option is a good old-fashioned squeegee mop with some warm water and detergent. Caring for your windscreen wipers is just as important as caring for your car’s windscreen and windows. Whenever you clean your car’s windscreen, give your wiper’s a clean too. Use a slightly dampened cloth to wipe those blades clean and remove any build up of grime or dirt. This will cut out the annoying squeak caused by dry and dirty blades and help to keep your vehicle’s windows in top-notch condition. Water spots often form a few days after giving your car a good wash. Left untreated, these spots can cause damage to your windows. The best way to remove these unseemly spots from your windows is to use a quality glass polish. Apply it with an approved applicator and then use a microfiber towel to gently remove the polish. Minor chips and cracks occur easily. When driving, your windscreen gets exposed to debris, gravel and other environmental hazards. These hazards can easily cause superficial or serious damage to your car. If you happen to notice a chip or crack, take it seriously. Even small damage can be a safety risk. The best way to look after your car’s windows is to look for a professional windscreen repair or replacement service. They’ll be able to fix up your car and get you back on the road in no time at all. Don’t Forget the Rear Windscreen! We can get so caught up in ensuring that our front windscreen is in prime condition that we can forget about the rear one. This needs just as much care and attention as the front. This also means that any chips or cracks in your rear windscreen should get attended to as soon as possible too. For more helpful blogs about caring for your car’s windows, please check out our blog.